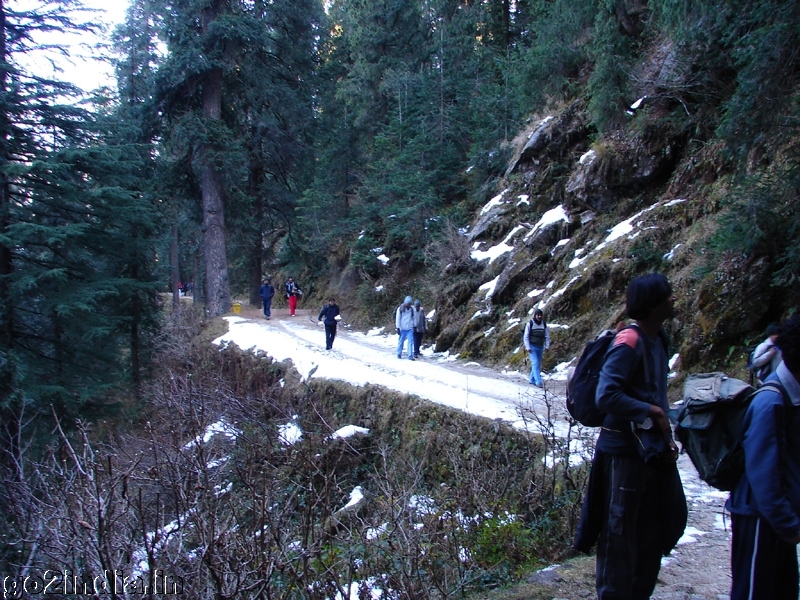 Situated in Himachal Pradesh, Dalhousie exudes an old-world charm. Surrounded by beautiful mountains, this hill station is often the preferred choice of holiday destination for the people of Delhi and Himachal. While most of the tourists travelling to Dalhousie come to relax and unwind, a fair section visit to explore the place’s picturesque surroundings and important landmarks. If you are planning a holiday, take a look at these fun and amazing places to visit in Dalhousie that will add to the thrill and excitement of your trip. Located just a few kilometres away from Dalhousie, Panchpula is a favourite weekend getaway destination for locals and tourists. It is no wonder then that this places sees a lot of visitors, especially between the months of May to July. Thanks to its beautiful surroundings, Panch Pulla makes for a great picnic spot. It is also good for adventure sports and outdoor photography. Trekking, boat rides and enjoying the stunning view of the hills are just some of the things to do at the Panch Pulla. Khajjiar is called India’s Mini Switzerland. The place is so scenic that you may feel as if you are holidaying in the Swiss Alps. Beauty apart, Khajjiar is great for air-adventure sports such as paragliding and it provides the opportunity for a ton of trekking experiences. If you are looking for a place to unwind in Khajjiar, relax by the banks of the Khajjiar Lake. Those who are romantic at heart, can book a boat ride on the lake to take along with their special someone. If you are looking to enjoy the outdoors and do a bit of trekking, you have to visit Dainkund Peak. Hiking up to the hill is a bit challenging as there are some portions of the climb have a rocky terrain. Once you reach the top, listen to the sound of the breeze passing through the trees; it is magical. There’s a historical temple located to the left of the Dainkund Peak and you will see a lot of wild flowers on the side of the pathways to the peak. At the Kalatop Wildlife Reserve you can not only spot the Himalayan Bear but a variety of other exotic animal species. If you love photography, don’t forget to catch stunning pictures of nature, the hills and wildlife on your camera at the reserve. Nature enthusiasts and walkers can enjoy hiking through the wildlife reserve, soaking in all the stunning surroundings. During the migratory bird season, you can watch for the different bird species. The Satdhara Falls are known for its therapeutic springs with medicinal properties. While most visit the falls for the springs, there are a big chunk of tourists that come to enjoy nature at its best and do a bit of trekking. Those that are keen on more sightseeing can drive down to a few beautiful sites located close to the Satdhara Falls. Garam Sadak is a great place to enjoy nature and watch the sunset. Whether you are going alone, with friends or family, you can certainly have a lot of fun exploring the scenic place. A highlight attraction at Garam Sadak are the Tibetan rock paintings created by Tibetans who have made Dalhousie their home. There is a market at Garam Sadak where you can shop for amazing Tibetan artefacts and handicrafts as well as woollen clothing. Hidden among restaurants in Dalhousie, the Khajji Nag Temple is famous for its idols of the Pandavas that date back to the 16th century. The stunning fact about this temple is that it is made of wood and not stone. Spend a few moments in silence, praying to God and then enjoy a meal at one of the many restaurants in the locality. Ganji Pahari lies in the lap of the Bakrota Hills. It is and has always been a top hiking trail for adventure sports enthusiasts and trekkers. Although it is located about an hour’s drive away from Dalhousie, many tourists do visit the place, especially on the weekend and during the holidays. Overnight camps are also held at Ganji Pahari and the place has an excellent setting for a picnic. One of the few landmark buildings in Dalhousie to feature Mughal and British architectural styles, Rang Mahal is a must-visit for any tourists. Inside this iconic building, one can browse through stunning paintings of Lord Krishna and intricate caricature on the walls. Tourists who love art, architecture and history will be thrilled by the experience of visiting the Rang Mahal in Dalhousie. The Chamera Lake near Dalhousie is a great place for water sports. 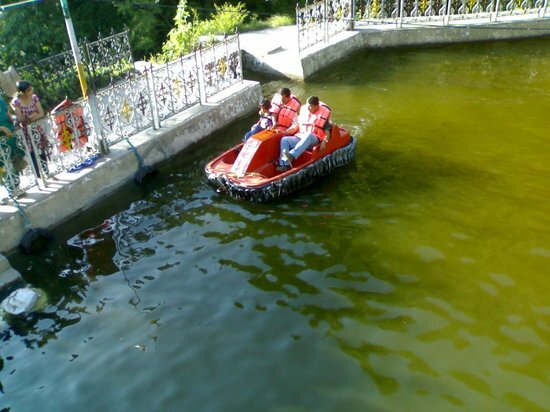 The Himachal Pradesh Tourism Board has built a boat house on one section of the lake where water sports are conducted. Boating, river rafting, fishing and angling are only a few activities that one can engage in at the Chamera Lake. 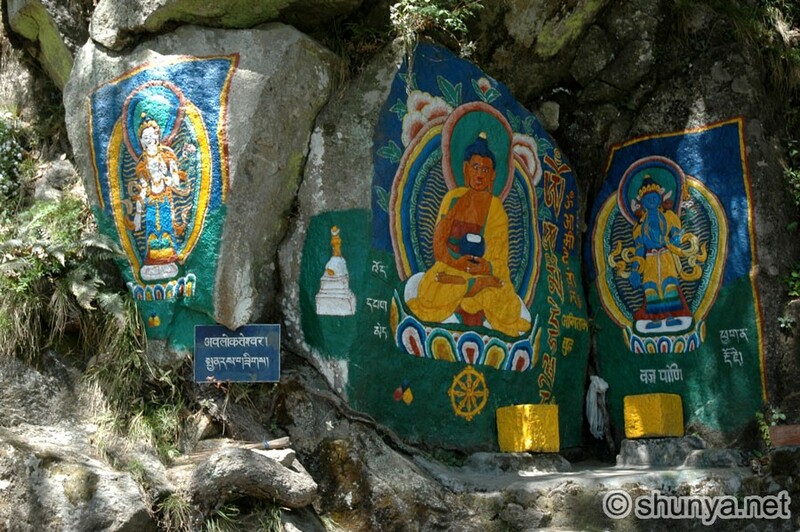 If you are visiting the ChameraLake, make sure to drop by at the nearby Bhandal Valley and the Bhalei Temple. Dalhousie is more suited for relaxing and unwinding, but if you really want to have fun, explore the above mentioned places. While some of them maybe outside town, they aren’t too far off by road, so travelling is convenient. There are a lot of good places in Dalhousie, but we have picked the ones where you will have the most fun.